Brass instruments are a vital component of orchestral sample libraries, but it wasn’t always so. The first wave of orchestral releases was dominated by strings, and at first it seemed unlikely that an intensively sampled collection like (say) the Denny Jaeger Master Violin Library would ever have a brass equivalent. However, things began to change in the 1990s: full-orchestra collections sprouted brass volumes, and by the turn of the century stand-alone libraries such as Quantum Leap Brass showed that brass could sound just as vibrant and expressive as strings when multisampled performing a variety of articulations and dynamics. The subsequent sea change from hardware to software sampling was followed by breakthroughs in note connectivity and velocity crossfading, while ‘round robin’ sampling allowed repeated notes to sound subtly different from each other. After Vienna Symphonic Library unleashed their pioneering ‘interval legato’ sampling in 2002, nothing was the same again. Now, when you played (for example) an ascending interval of a major third, you heard the actual played interval with its original built-in note transition, as opposed to two separate, unrelated samples played consecutively. With melody lines sounding joined-up and note repetitions losing their mechanical ‘machine gun’ quality, it became harder to differentiate MIDI orchestrations from the real thing. A new era of sampling had begun. As a general rule, today’s libraries incorporate the above-mentioned techniques and are technically superior to their predecessors, as well as being considerably larger. For that reason, this product round-up concentrates on brass libraries and instruments dating from 2002 onwards, with a nod to a few 20th century survivors that maintain contemporary appeal. We’ve also included symphonic products which feature brass along with other orchestral instruments, and a selection of solo instrument titles. Though traditional orchestral brass can be used in a pop context, pop brass (aka ‘horns’) arrangements generally feature different instrumentation, not to mention specialised playing techniques and a musical attitude not normally represented in conventional orchestral libraries. Mindful of the fact that many composers and arrangers work in both fields, a round-up of brass and saxophone libraries and instruments targeted at pop (including funk, soul, R&B and so on), jazz and big-band music will appear in a forthcoming issue of SOS. In-depth SOS reviews of many of the included titles can be read online via the links in the ‘SOS Reviews’ box. We hope this detailed overview will help you find your way through the ‘brass maze’ and decide which library best suits your needs! Frustrated by the quality of 1990s sample libraries, former cellist Herbert Tucmandl hatched a plan for the creation of a truly authentic, perfectly tuned and noise-free orchestral sample library. Two hundred-plus knackered musicians, countless recording hours and two million samples later, Herb’s dream has become flesh in the Vienna Symphonic Library, featuring virtually every orchestral instrument under the sun and a wealth of related extras. As you’d expect, brass is covered in depth in the Vienna vaults: the fundamental Brass I collection is a good starting point, providing a basic line-up of trumpet in ‘C’, trombone, French horn and tuba along with three-player trumpet and trombone ensembles and a four-piece horn section. All but the tuba play straight and muted samples. Brass II adds eight supplementary solo instruments and the ‘Epic Horns’ eight-player French horn ensemble. Matching the eight horns for power are the six-player Fanfare Trumpets in VSL’s Special Brass, which also contains cornet, alto trombone and euphonium. Brass I, Brass II and Special Brass instruments may be purchased separately, though it’s cheaper to buy them as collections or in bundles. Additional single-instrument Trumpet (Bb) and Flugelhorn libraries are also available, the former offering a separate version played with a classical straight mute. Experienced users who like to tweak performance details will appreciate the advanced Vienna Dimension Brass and Dimension Brass II libraries, which offer unprecedented individual player control of live brass quartets: although the musicians played together as a group, each instrument may be isolated and individually adjusted. The first title contains four trumpets, four French horns, four tenor trombones and a low brass ensemble of tuba, bass trombone and two tenor trombones, while the second supplies muted versions of the trumpet, trombone and horn sections, along with a sonorous Wagner tuba ensemble; both include auto-divisi and ‘humanise’ features. All these libraries were recorded from one stereo microphone position in Vienna’s Silent Stage, a unique facility designed for precise, close-up recording. If you prefer an ambient concert hall sound, you’ll need to add reverb. Libraries are available in Standard (commonly used articulations) and Extended (extra articulations) versions. The latter option is installed along with the standard samples and remains active for a 30-day trial period, after which it can be unlocked by paying extra. Renowned for their comprehensive instrumentation, forensic sampling, extensive articulation options and superlative legatos, Vienna libraries are powered by the Vienna Instruments sample player, which features a large, user-configurable patch-switching matrix and intelligent performance detection of legato intervals, note repetitions and playing speed. 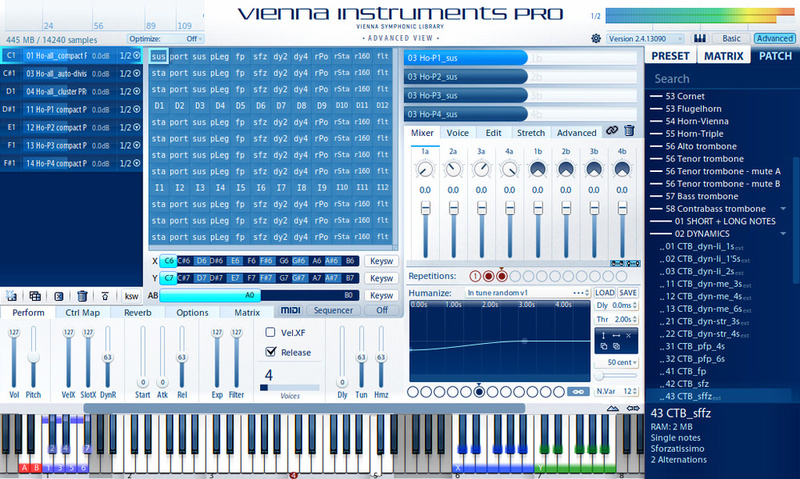 Vienna Instruments Pro adds more playing slots, convolution reverb, user-definable instrument ranges, a pattern sequencer and an auto-voicing feature. VSL’s brass instruments are also available in cut-down Special Edition volumes; see ‘Mixed Orchestral Instruments’ below for details. EastWest released the world’s first commercial drum samples collection on CD in 1989, and since then the company have never looked back. 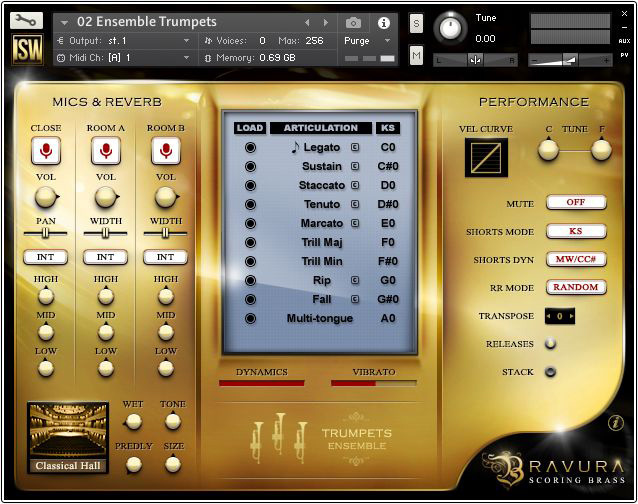 A fruitful musical relationship between founder Doug Rogers and producer Nick Phoenix (creator of the aforementioned Quantum Leap Brass) led to the creation of the EastWest/Quantum Leap brand, a name synonymous with high-quality orchestral sampling. Rogers’ 2006 acquisition of the historic United/Western Studios in Hollywood, now renamed EastWest Studios, facilitated the creation of a new series of large-scale orchestral libraries which includes EastWest/Quantum Leap Hollywood Brass. Recorded by veteran film-score sound engineer Shawn Murphy from five mic positions (including an option that uses vintage ribbon mics), the library’s trumpets and French horns come in solo, duo and larger section sizes, with a six-player horn ensemble providing a heroic cinematic sweep. Trombones are presented solo and as a three-piece ensemble; also included are tuba, cimbasso (a valved contrabass brass instrument) and a low brass section voiced in octaves which comprises two tenor trombones, bass trombone, tuba and cimbasso. This collection focuses on classic blockbuster film-score territory, combining tight, forceful, rhythmically focused articulations (including exceptionally well co-ordinated, bright and powerful staccatissimos and staccatos) with lush, romantic and expansive horn legatos. Dynamics are a strong point, though the multiple velocity layers in sustain and legato patches can place a strain on system resources (solution: use the ‘lite’ patches). 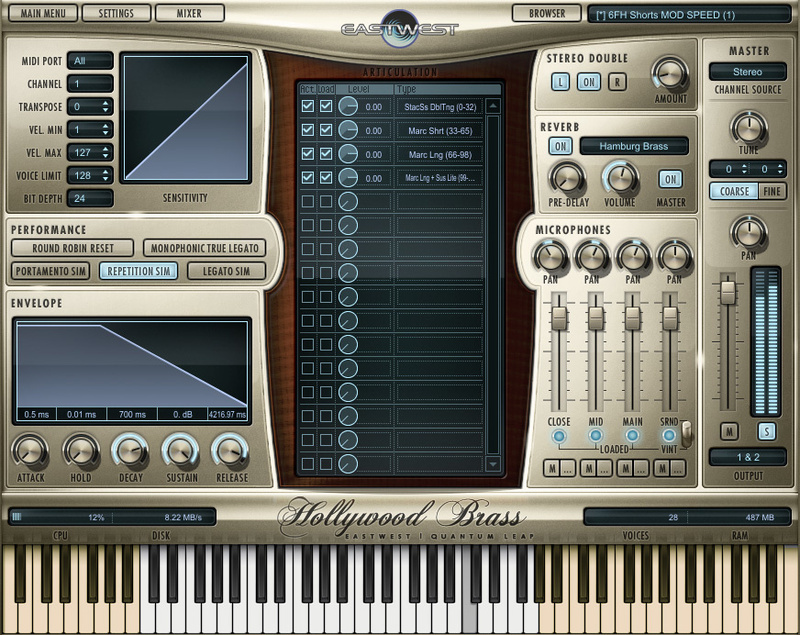 Hollywood Brass runs on EastWest’s proprietary Play sound engine, which includes a convolution reverb engine capable of transforming its large-room acoustic into a concert hall sound. The library is available in Diamond (full 24-bit version), Gold (one mic position only, 16-bit) and Silver (one mic position, 16-bit, reduced articulations) editions. EastWest’s optional Composer Cloud service now gives users access to all of the Gold Editions of their collections on a monthly subscription basis. See ‘Mixed Orchestral Instruments’ for EastWest’s EWQL Symphonic Orchestra collection. Some British qualities are worth celebrating. There’s, er um how about ah oh yes, orchestral musicianship, in which this sceptred isle ranks highly, and deservedly so — our players are world class. Allying themselves with the cream of London’s orchestral session musicians (to whom they pay royalties), Spitfire Audio record their libraries in the Lyndhurst Hall at AIR Studios, a large, richly reverberant, galleried room offering boundless possibilities for multi-mic madness. Over recent years Spitfire have assembled a large full-orchestra collection called the British Modular Library which can be purchased in bite-sized chunks. At the time of writing, the BML collection (which is growing faster than Kanye West’s ego) features seven brass volumes: Trumpet Corps Vol. 1 contains solo and duo trumpets who turn in (among other articulations) brilliant-toned long notes and dynamic legatos. Horn Section Vol. 1 adopts the same format, contributing brassy ‘cuivré’ and blasting ‘bells up’ performances along with some exuberant, whooping rips and falls, while Bones Vol. 1 (featuring two tenor trombones and a bass trombone duo, but no solo instruments) captures the full extent of trombone tone from warm and mellow to big and grandiose, making a rich, stately, spectacular and dynamic sound which is ideal for chord pads and melody lines. Each of the above-mentioned instruments has a separate, lavish six-player version, called respectively Trumpet Phalanx, Horn Phalanx and Bone Phalanx, which evoke the might and majesty of ancient Romford — sorry, I mean Rome. Underpinning this grand, multi-miked brass racket is BML Low Brass, a star feature of which is the contrabass trombone’s stupendously powerful cuivré deliveries, a noise not unlike the glass-shattering, sub-bass blare of the Close Encounters mothership. Solo and duo cimbassos and a suitably fat-sounding tuba are also on board. Spitfire Audio’s BML range runs exclusively on the full version of Native Instruments Kontakt version 4.2.4 or 5, and will not work with the free Kontakt Player. All volumes are available as downloads from Spitfire’s site; the company also offer a hard-drive delivery service for larger libraries and bundles. The West Coast has long been a hotbed of sample library creation, with Cinesamples’ Los Angeles headquarters showing up as a particularly intense hotspot on thermal maps. Founded in 2007 by composers Michael Patti and Michael Barry, Cinesamples are one of the few companies to have attempted the daunting task of sampling the entire symphony orchestra. They are also in a small minority of sound library producers who admit to paying their musicians a royalty, so if you meet these guys, buy them a beer. 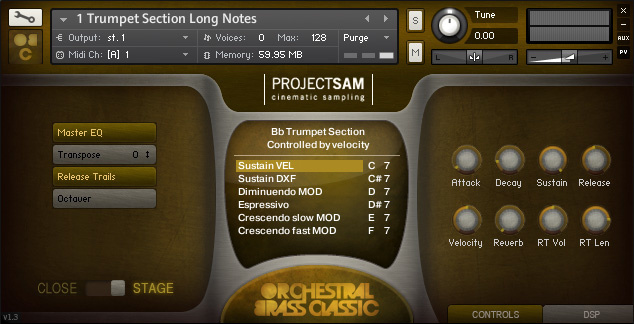 Part of the CineSymphony series recorded at the MGM Scoring Stage by engineer Dennis Sands, Cinesamples CineBrass is available in two forms: CineBrass Core, and the larger companion set CineBrass Pro. Taken together, the two libraries’ instrumentation comprises trumpet, French horn and trombone (each presented in solo and ensemble form), bass trombone, tuba and cimbasso, with the low brass playing together in various combinations. 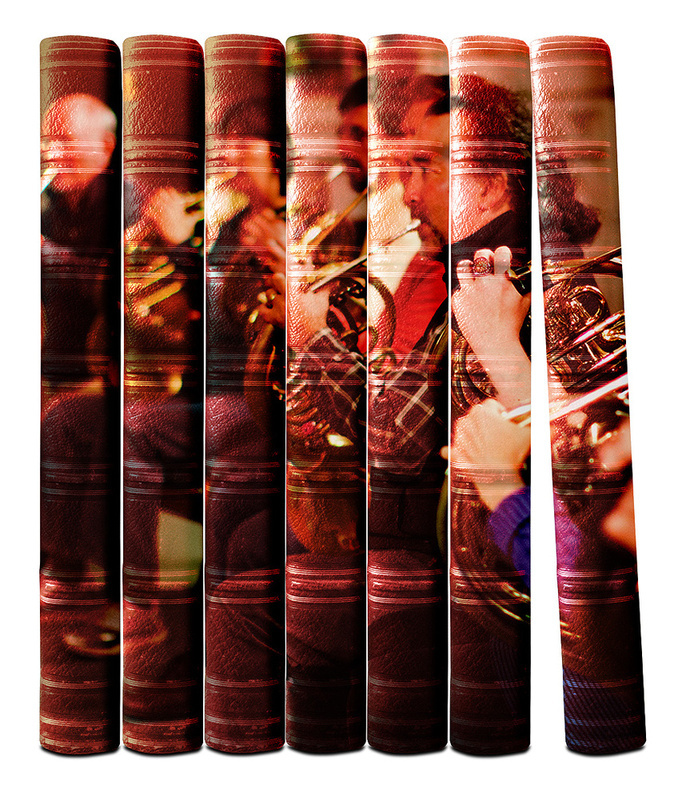 The Pro library contains a full brass ensemble of three trumpets, four horns, three trombones, bass and contrabass trombones, cimbasso and tuba performing chords and effects. CineBrass’s highlights include terrific, attacking short staccatos, soaring, full-range VSL-style legatos which can handle fast trills and grace notes and deranged effects which push the acceptable boundaries of atonality, while a massive selling point of the Pro set is a superb 12-player horn section of stunning grandeur, recorded in wide, panoramic stereo. The library requires the full version of Kontakt 4 and up. After the estimable Tonehammer shut up shop in 2011, two new companies arose phoenix-like from the ashes. The first, the snappily named 8Dio, launched into a massive orchestral sampling programme which spawned the high-end Adagio strings series. 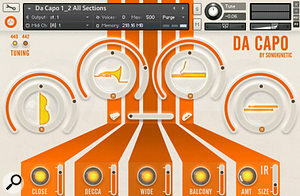 Recent blogs reveal that a large-scale brass library is currently in the pipeline, but in the meantime, you can buy 8Dio Cage Brass, featuring four trumpets, four trombones and six French horns sections performing a comprehensive and creative set of wild and occasionally funny musical effects, rips, falls and textures. The samples are fortified by an onboard sequencer and ‘chaos engine’ comprising a pitch randomiser and transformative effects rack. Conventional multisamples (including some lovely horn pfp swells, but no legato patches) are also included, and very good they are too. The second phoenix to emerge from Tonehammer’s flames is Soundiron, based in the Bay Area. 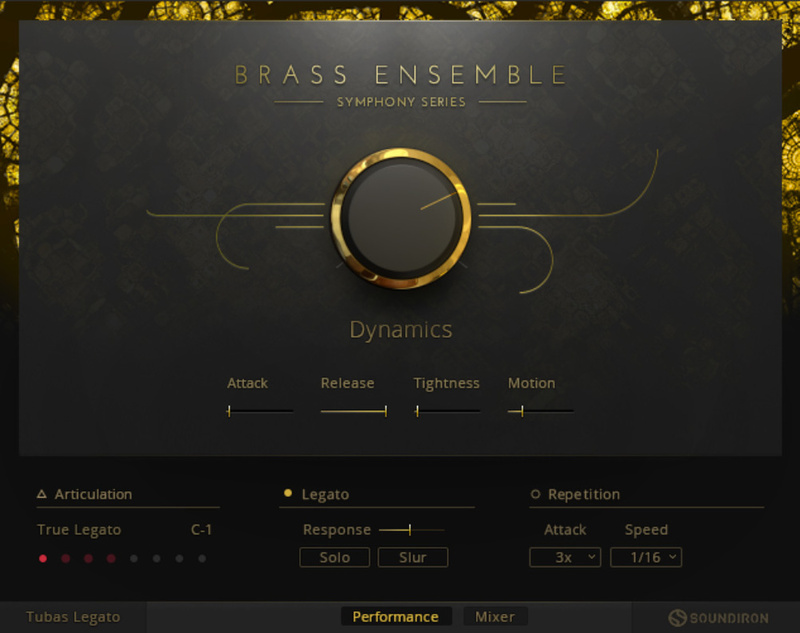 Having created a large number of unique and eclectic libraries since their inception, the company recently unveiled the impressive Symphony Series Brass Collection, created in collaboration with Native Instruments’ in-house design team. The library ships in two volumes, Ensemble and Solo: the first contains eight-player trumpets, trombones (including bass trombones) and French horns sections, and a ‘bass brasses’ ensemble of two contrabass tubas, two bass tubas and four euphoniums, while the Solo volume features first and second French horns, Bb trumpet, tenor trombone and bass tuba. Recorded at St Paul’s Church, San Francisco, from different perspectives (including an extreme distant position of 30 metres, practically outside in the car park), SSBC’s wide range of articulations includes regal marcatos, true legatos in a choice of normal and portamento slide styles (the latter sounding great on trumpets) and the intriguing ‘horse trill’. The library is strong on mobile dynamic expression, offering unusual and dramatic run-up and run-downs, swooping octave slurs and disconcerting pitch bends. A large effects section contains clusters, shakes, staccato blasts, up and down sweeps, tuning cacophony, and so on. Though some of the advanced technical options may be beyond beginners, this is a timbral feast for the serious composer. A full SOS review of Symphony Series Brass Collection will appear in a future issue. Veteran samplist Kirk Hunter’s orchestral brass offering Kirk Hunter Concert Brass 2 presents trumpets, trombones and French horns in eight-, four-, two- and single-player formats, with a solo tuba completing the line-up. Recorded in a space large enough to excite the instruments’ ‘sweet spot’ without drowning them in ambience, the various sections and soloists can handle anything from big, Hollywood-esque pomp-ridden fanfares to an intimate brass chorale or solo. Having been in the game since Akai hardware samplers roamed the earth, Mr. Hunter knows his onions: his user-configurable ‘Interval Live’ technology fashions realistic legato melody lines, and the fine programming control of the French horns’ attacks gives excellent, expressive and sensitive musical results. 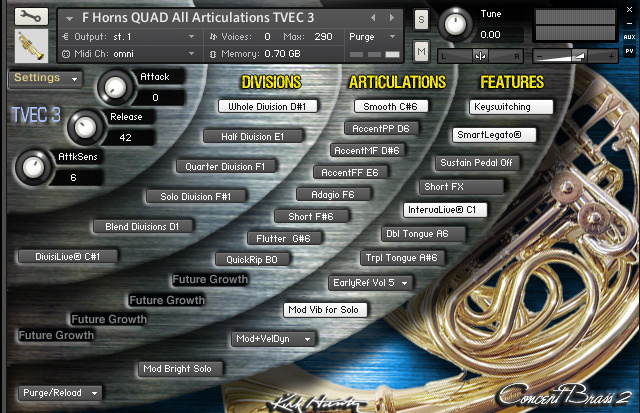 The full version of Kontakt 5 or newer is required for this library. Over on the East Coast, there’s a new-ish kid on the block: Maryland-based company Impact Soundworks, makers of the 55,000-sample Bravura Scoring Brass. Recorded in a large scoring studio from three mic positions, this ambitious collection comprises trumpet, trombone, French horn and low brass (including a bass trombone) ensembles of three players each, and trumpet, piccolo trumpet, flugelhorn, trombone, horn and tuba solo instruments. The samples are presented in both 16-bit and 24-bit form. Boasting a highly effective true legato mode for all instruments, the library is technically excellent, with deep programming facilities lurking beneath the bonnet. A built-in orchestrator performs convincing auto-divisi splits, while the customisable ‘chordmaker’ generates a well-voiced section chord from a single key press. The instruments (which play a decent range of common articulations and aleatoric effects) sound very nice indeed: ‘opulent’ is the word that springs to mind. 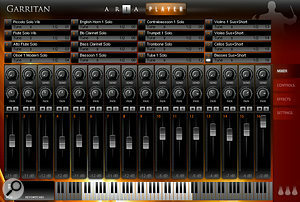 Each ensemble, section and soloist is available separately or in bundles; individual ensembles and soloists require the full version of Kontakt 5.4 or higher, but when bought as a whole, the library will run on the free Kontakt Player. Orchestral Tools burst onto the scene in 2011 with Orchestral String Runs, followed by the super Berlin Woodwinds and Berlin Strings collections. So far, the company’s work-in-progress Berlin Brass has only one available volume: the enigmatically titled Berlin Brass Expansion C — SFX French Horns. 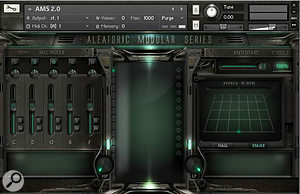 This Kontakt 5 library features four horns recorded individually and as a section from three mic positions at the Teldex Scoring Stage. 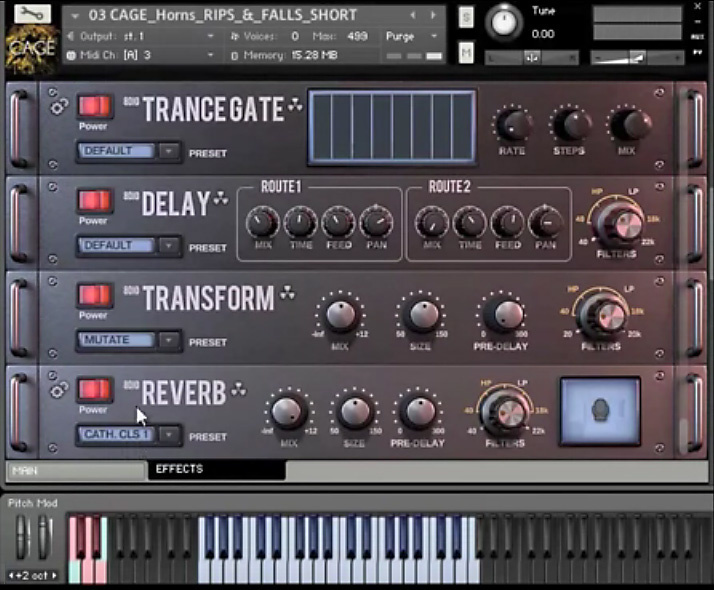 The players perform straight sustain multisamples, auto-divisi scripting is included, but the main attraction are some great rips, falls, atonal clusters and controllable effects. Keep an ear open for the main library — going on past form, it’s likely to be a winner. Eight hundred and 20 miles to the south east, composer/orchestrator George Strezov’s company Strezov Sampling have been making inroads into orchestral sampling with strings, brass and woodwinds recorded from multiple mic positions in Bulgaria’s Sofia Session Orchestra hall. 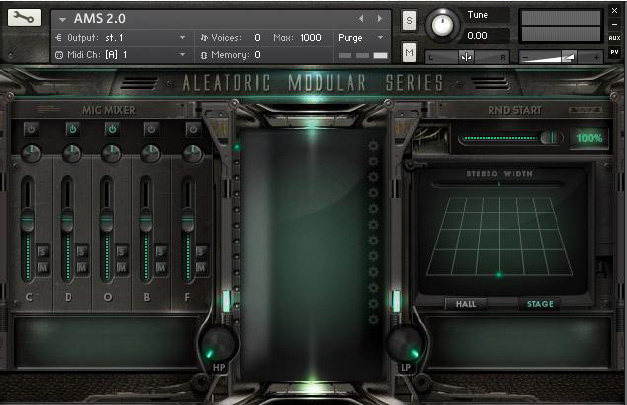 One product line which catches the ear is the Aleatoric Modular Series, designed for trailer, game and film scoring with the accent on horror and tension writing (emotions which will be all too familiar to media composers chasing impossible deadlines). Its three volumes feature, respectively, six horns, three trumpets and a low brass section, performing clusters, lip and flutter bends, trills, flurries, jitters (sic) and tempo-sync’ed rips, rises and falls. All good, hair-raising stuff. Back on the beaten track, Strezov Orchestra French Horns presents a horn section performing true legato and regular sustains, short notes, trills and rips, while Strezov Orchestra Trombones provides a ’bone ensemble performing basic articulations and crescendos with some fruity tuning. 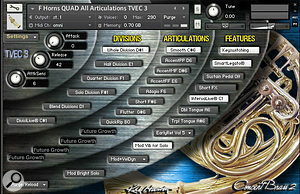 Native Instruments’ Kontakt 4.2.4+ full version is required, the free Kontakt Player is not supported. Nice to have an entry from this part of the world Bulgarie — douze points! 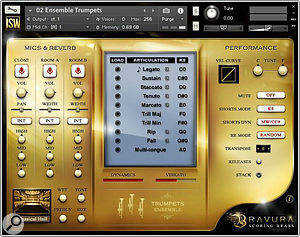 In addition to the stand-alone brass libraries described above, there are numerous mixed-instrument packages and all-in-one symphonic instruments that combine orchestral strings, brass, woodwinds and percussion. These provide a convenient way of quickly creating orchestral mock-ups, though in the main they offer fewer options of instrumentation and playing style than specialist collections. 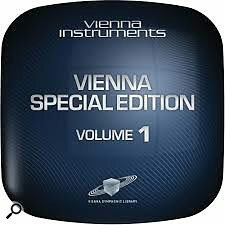 VSL Special Edition is a budget full-orchestra set comprising 97 instruments and sections. Patches use fewer velocity layers than the full library versions, with samples spanning a tone rather than a semitone; however, the difference in sound is minimal, the trademark legatos are in there, and the range of articulations is generous. Volume 1 and 2’s brass can be bought separately, with upgrade paths to the full versions available: SE Volumes 1 and 2 Brass collectively provide 10 solo instruments and six ensembles performing basic articulations, while their ‘Plus’ volumes feature the same instruments performing additional styles. Extra brass instruments (including the Fanfare Trumpets) are provided on Special Edition Volume 4. 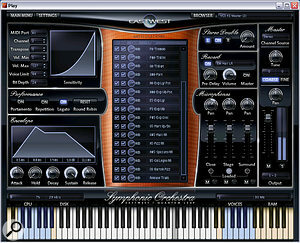 Although not in Sir Cliff Richard’s league (well, to be fair, they’ve only been at it 27 years against Cliff’s 57), EastWest have a great chart record — their EastWest/Quantum Leap Symphonic Orchestra has won the SOS Best Sound Library award for the last two years, and triumphed in 2011 as well. (Maybe Cliff should release a sample library? Just a thought.) Originally released in 2003 as separate strings, brass, woodwind and percussion volumes, this large collection has now been reformatted, tweaked and relaunched as the all-in-one EWQLSO Play Edition. Recorded in a large, reverberant concert hall, the library is available in four editions ranging in size from the full Platinum Plus version down to the 11GB Silver edition. The first orchestral library to offer surround-ready multiple mic positions, EWQLSO lacks true interval-legato samples, but in all other respects it remains a top-notch collection. Spitfire Audio’s Albion series is designed as a ‘broad brush stroke’ library for composers to sketch epic-sounding Hollywood-style film scores. The original Albion volume has been discontinued (though owners will continue to receive updates), but later titles remain available: Albion II — Loegria‘s eclectic instrumentation includes a section consisting of two euphoniums and two French horns and another sporting a pair of sackbuts (ancient trombones). The thunderous low brass in Albion III — Iceni packs great low-end energy, performing trouser-flapping short trumps, window-shattering ff ‘nasty longs’, some bonkers effects and lovely, rich and dynamic sustains. Albion IV — Uist, an atmospheric set of orchestrated long evolutions, textures, hits, effects, clusters, stabs and stings, includes large high and low blended brass sections in its line-up, making it a great sound-design resource. Like all Spitfire titles, these libraries benefit from the imposing natural reverb of AIR Studios’ Lyndhurst Hall. Back in the USA, the large, elaborate Kirk Hunter Diamond full orchestra library combines various incarnations of Kirk’s numerous products (including the Emerald collection, reviewed in SOS in March 2007). Maintaining the flexible section sizes and solos of Concert Brass 2, Diamond’s brass excels at noble, soaring John Williams-style melodies and anthemic superhero themes. Coming soon from the same maker is the Spotlight Orchestral Ensembles library, an 8GB-ish collection featuring strings, brass and woodwind sections, percussion and a basic choir. 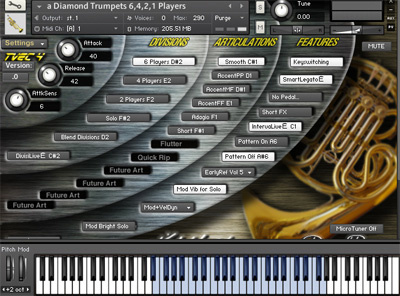 The brass consists of a highly playable, user-configurable combination of tubas, trombones, French horns and trumpets. In days of yore, Dutch samplists Project SAM were famed for their Gigastudio brass ensembles (see ‘Historic & Ongoing Collections’ below). 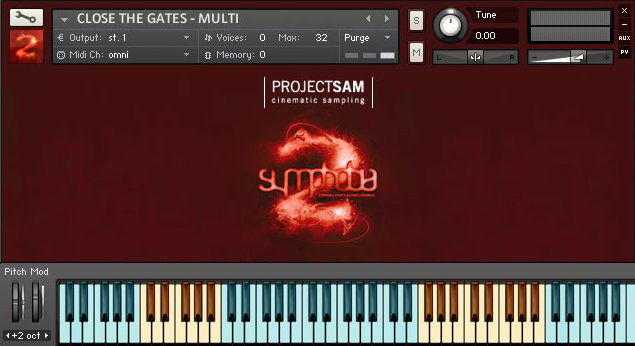 More recently, SAM’s Symphobia Kontakt series has provided ready-to-go, blended orchestral combinations with a strong brass presence. 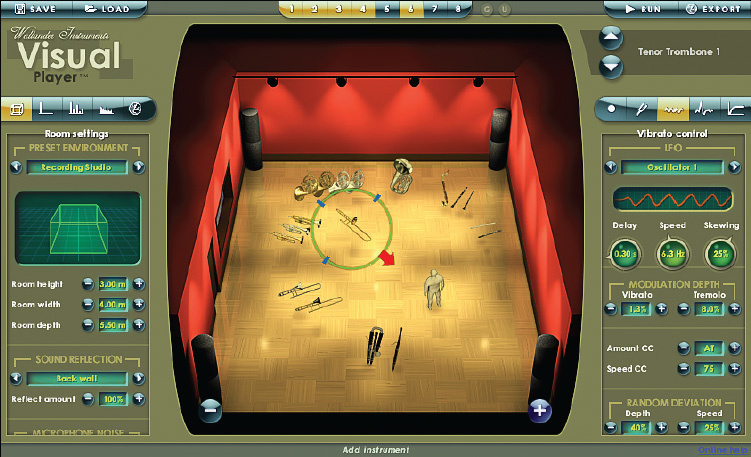 Recorded in a fine concert hall acoustic, Symphobia 1‘s sections include tubas, trombones, horns and trumpets playing together, a bright-sounding horns and trumpets section ideal for Olympian fanfares, and a low-register combo of tuba and trombones which performs single notes in octaves and a set of nicely tuned chords. The ‘blended ensembles’ approach continues in Symphobia 2, which features separate brass patches of three trumpets (played in octaves), eight horns, horns and trombones, and a solo French horn, the last two of which perform true legatos. Both libraries contain amazing ‘wild card’ effects and clusters, described at length in their SOS reviews. 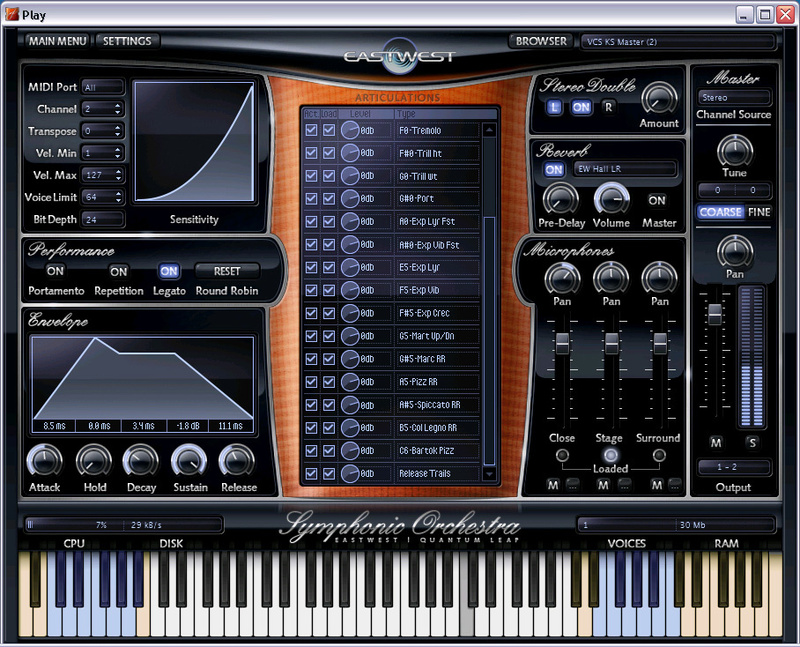 Symphobia Orchestrator maintains the brass interest with a nicely orchestrated, blended brass and woodwinds ensemble performing major and minor chords. The library’s legato chord transitions are a cool innovation. 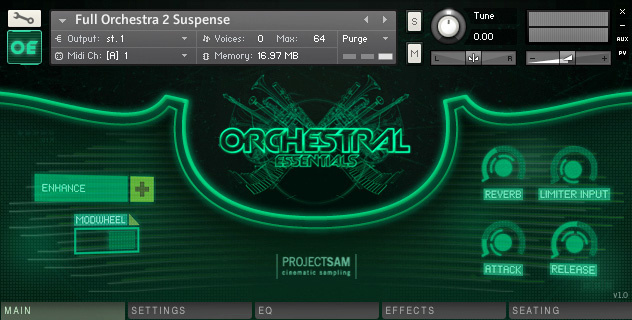 Also available from SAM are the Orchestral Essentials and Orchestral Essentials 2 compilations, bringing together samples from the company’s Symphobia 1-3, True Strike 1 and 2, Orchestral Brass Classic (see below), Woodwind Ensemble Orchestrator / Effects, Flute & Piccolo Effects, Organ Mystique and Concert Harp libraries, with no duplication of content between the two volumes. A more recent Euro contender, Sonokinetic Da Capo, contains separate orchestral sections recorded in a concert hall from multiple mic positions, with individual instrument families blended into single playable patches. Da Capo’s brass features a blend of strong French horns, trombones and bass trombones, but no trumpets; despite the incomplete instrumentation, the small range of basic playing styles (which includes true legatos) works well for instant composition. 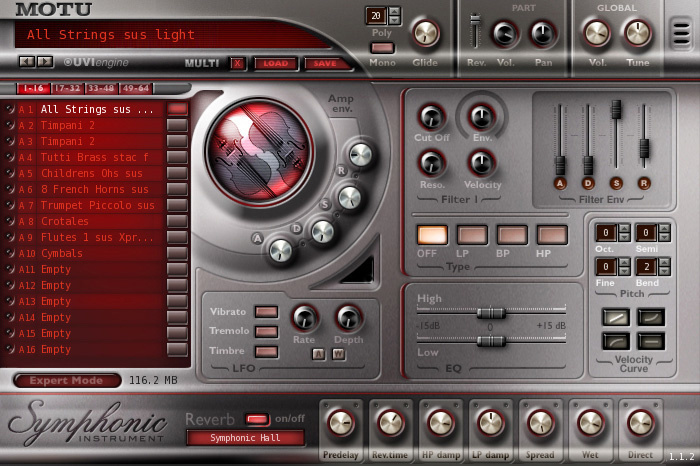 Sonokinetic’s earlier release Vivace focuses more on orchestral effects and textures, but also contains some playable brass section multisamples. Turning back the clock, Prosonus were one of the first companies to release samples on audio CD, leaving users to trim, loop and map the samples. In 1989 the LA-based outfit released an acclaimed set of orchestral sample disks which was later curated into Big Fish Audio’s Akai-format Prosonus Orchestral Collection. 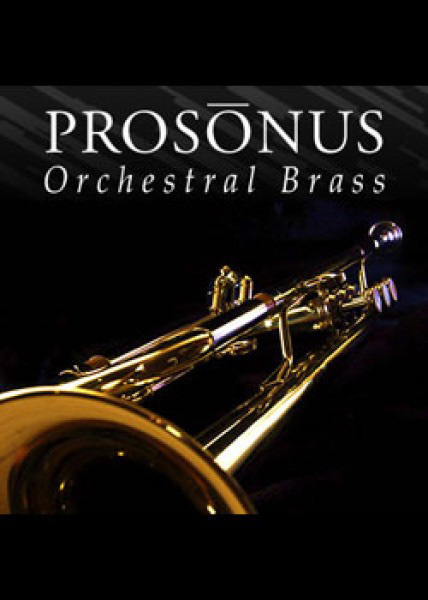 That collection has now been reformatted for Kontakt 3 and up (Kontakt Player is not supported) and its brass instruments decanted into Prosonus Orchestral Brass. Though sampling has moved on since these recordings were made, some patches still have the power to stir the blood. The ’90s saw the release of two landmark symphonic libraries, both created by Czech musicians: Miroslav Vitous (former bassist with Weather Report) Symphonic Orchestra Samples (1993) and Peter Siedlaczek’s Advanced Orchestra (1997). Both have now been revamped for today’s virtual instrument market. 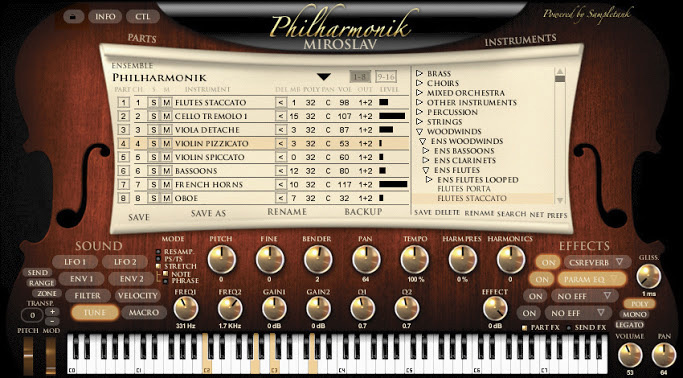 IK Multimedia Miroslav Philharmonik repackages Vitous’s iconic, groundbreaking samples (which include a choir) for the SampleTank 2.5 sound engine. A budget version, Miroslav Philharmonik Classik Edition, omits the choir and offers fewer instruments and articulations. The refurbished Peter Siedlaczek Complete Orchestral Collection includes the legendary Advanced Orchestra, now formatted for Kontakt Player. Vitous’s and Siedlaczek’s libraries were the leading orchestral products of their day, and though lacking in modern sampling techniques, both feature well-recorded, highly usable brass instruments and sections. US company Sonic Implants made a splash in 2002 with the Symphonic String Collection, at that time the largest strings library in the world. The addition of brass, woodwind and percussion brought the grand symphonic project to completion. Famed for its pleasant, natural hall sound and lively sonic response, the collection is now back in the new guise of Sonivox Film Score Companion, comprising cut-down versions of the original strings, brass and woodwinds along with the company’s Eighty Eight Ensemble Steinway concert grand and Big Bang Cinematic Percussion, all powered by a proprietary sample player. The library’s five sections may be purchased separately; its brass component, Orchestral Companion Brass, features a full brass ensemble, section and solo horns, trumpets and trombones and a solo bass trombone and tuba. A review of Film Score Companion will appear in a future issue of SOS. 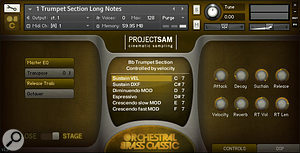 Project SAM’s Orchestral Brass Classic is a rereleased compilation of SAM Horns, Trombones, Trumpets and Solo Sessions, originally released as individual GigaStudio libraries between 2003 and 2004. 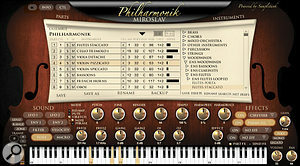 Reformatted for Kontakt 5.1.0 and up (with a licence for the free Kontakt Player included), the concert hall-recorded samples sound as classy and attractive as ever, with the original lengthy articulation lists replaced by a simpler, user-friendly menu which preserves all the musical options. This well-organised, user-friendly package now includes a bonus bass trombone. Dating from 2004, the small, stripped-down but musically effective Garritan Personal Orchestra 4 offers an impressively complete instrumentation (including a selection of Project SAM’s brass sections and solo instruments), ensemble-building facilities and a user-friendly Aria player. Though restricted to one dynamic layer and not the most lush-sounding of libraries, it’s a convenient and affordable solution for cash-strapped composers, and a very good starting point for orchestral beginners. As mentioned in our Orchestral Strings Sample Libraries Buyers Guide in SOS June 2015, a pair of instruments dating back to 2005 and 2006 respectively contains a range of orchestral instruments. The MOTU Symphonic Instrument plug-in’s large sound library can also be loaded into MachFive 3 and UVI Workstation 2 sample players. It includes ensemble and solo brass along with strings, woodwinds, harp, pipe organ, pianos, childrens’ choir, and so on. The brass articulations are extremely limited, and the overall sound is closer to a keyboard workstation than a pro sample library, but the sheer quantity of onboard timbres make it a useful tool for sketching arrangements. 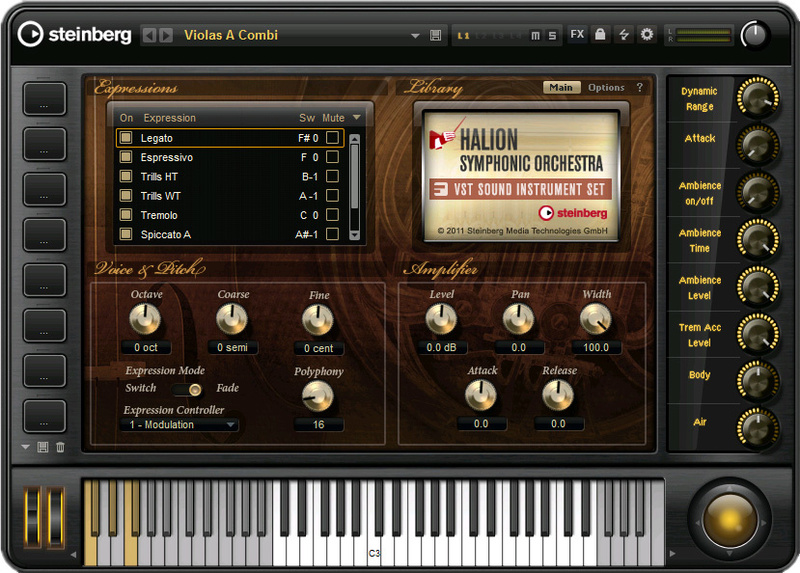 Steinberg Halion Symphonic Orchestra offers a collection of orchestral solo and ensemble instruments performed by a European orchestra in various common playing styles. Online demos indicate this is a solid, pleasant-sounding symphonic library capable of creating convincing, reasonably detailed orchestral mock-ups; John Walden’s October 2006 SOS review praised the playability, realism, sound and dynamic timbral range of its brass instruments and sections. 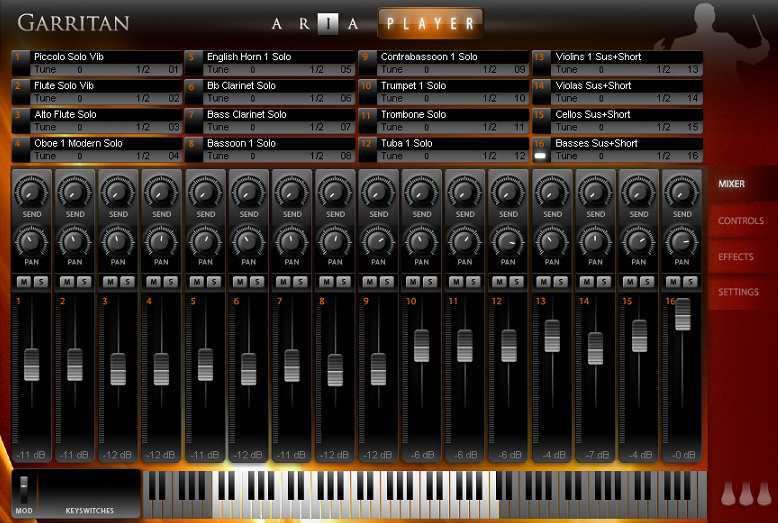 An alternative to multisampling is to recreate an instrument’s sound by software modelling. The two approaches are not, as you might think, totally polarised, since modelling methods are often initially based on recordings of chromatically sampled notes, articulations and phrases performed by a real player. Scientific theory apart, the acid test (as with sampling) is whether the modelled instrument sounds anything like the real thing, and happily some pass that test with flying colours. 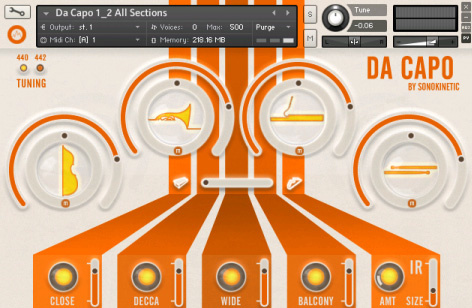 Designed by Giorgio Tommasini and Peter Siedlaczek of Advanced Orchestra fame, Sample Modeling‘s The Trumpet is a remarkably realistic monophonic modelled instrument. Now in its third generation, this pure, fat and bright-sounding trumpet offers a good range of playing styles and mute options, and includes a generous set of extras (cornet, piccolo trumpet, flugelhorn and three alternative trumpets), all natural-sounding and highly playable. Also available from this company are The Trombone (featuring two types of tenor trombone, a valve trombone and a fat, fruity bass trombone) and French Horn & Tuba, which includes four different horn types. Supplied with Kontakt Player software and compatible with the full version of Kontakt, these instruments are staggeringly accurate and lifelike emulations of their real-life counterparts, with a wealth of timbral and performance options which enable them to sound convincing in any musical style. Nothing to do with the dishevelled Swedish TV detective, Wallander Instruments uses a combination of additive synthesis/resynthesis and behavioural modelling to recreate the sound and expression of acoustic instruments without the use of samples. Wallander’s WIVI Band contains a mixture of 10 standard orchestral brass and woodwind instruments along with recorders and tenor saxophone, while the more elaborate Orchestral & Band Brass bundles 21 brass instruments (including uncommon items like flugelhorn, bass trumpet and soprano cornet). Offering a large variety of mute options, both collections run on Wallander’s proprietary WIVI sound engine, included with the libraries. 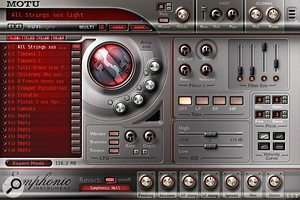 Though its inventor Eric Lindemann is at pains to point out that Synful Orchestra is not a physical modelling synthesizer (apparently it uses a form of additive synthesis which generates sounds on the fly from combinations of pure sine waves and noise elements), his creation does a good job of emulating orchestral sound, with French horns sounding particularly strong. I was also captivated by the Lindemann’s rendition of the opening passages of The Rite of Spring. Sixteen standard orchestral strings, brass and woodwind instruments are included, with a brass line-up of trumpet, trombone, bass trombone, French horn and tuba. 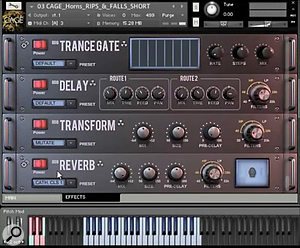 These modelled/synthesized instruments consume far less disk space (megabytes rather than gigabytes) and use less RAM than modern sample libraries; disciples of their no-samples approach also praise the smooth tonal and dynamic response, ease of use and flexibility compared to conventional libraries. 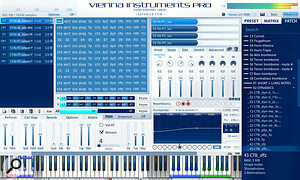 Wallander Instruments WIVI and Synful Orchestra are plug-ins which require an AU, VST or RTAS compatible host. Though many of the orchestral brass collections mentioned above contain performances such as section chords, fast note repetitions, octave rips and runs, atonal effects and so on, none contain actual melodic phrases. In contrast to the horn licks found in many pop brass libraries (due to be covered in our upcoming Pop Brass product guide), such performances are hard to find in the orchestral sampling world. One of the few companies to provide them are Sonokinetic, based in the Netherlands and founded by Rob van den Berg and Son Thomsen. Sonokinetic Grosso features tempo-sync’ed strings, woodwind, brass, percussion and choir phrases designed to work together in all 12 keys. Played in 12/8 in major and minor-key versions and recorded in a modern concert hall, the phrases feature a 14-piece symphonic brass ensemble performing a variety of dramatic material (including uplifting rhythmic ostinatos, trumpet fanfares and ‘William Tell Overture’-style galloping horn figures) in rollicking adventure-film style. Sonokinetic Capriccio covers similar ground (sans the choir), but does it in 4/4 time. 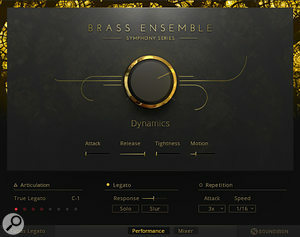 A slender selection of brass phrases can also be found in Sonokinetic Minimal, which includes trombones, horns and tuba playing sustained, straight major and minor chords with a built-in crescendo/decrescendo and a handful of interesting ‘tutti’ textures featuring woodwinds, strings and brass playing together. If the wealth of options outlined in this article leaves you feeling confused, try to narrow down the choice by thinking about what your orchestral brass arrangements really need: if you’re planning, for example, to recreate a classical score in detail, you’ll need a library which provides all of its instruments along with the different articulations required (or close approximations thereof): staccatos, sforzandos, glissandi, trills, muted or stopped samples, and so on. If your compositions feature a lot of top-line melodies, the interval-based legatos of contemporary collections work much better than the historic titles mentioned here. For professional film work involving surround mixes, multiple microphone positions are an important factor. From a more general perspective, you should consider whether a studio acoustic is more or less desirable than a concert hall recording, and weigh up the respective merits (and budgetary implications) of all-in-one packages against collections which can be bought in stages. The patch-by-patch walkthroughs provided on some company web sites are a great way of checking out what a library really sounds like, and manufacturers’ instrument and articulation lists and system specifications should help you make a purchasing decision. For more detailed critical analysis, follow the links to our in-depth SOS reviews. Most importantly, don’t feel that you can only get acceptable results if you have the biggest, most technically impressive sample collection. With a little application, you can make good music with the most slender of resources, provided you’re prepared to work hard, be creative and use your imagination. The table below shows the vital statistics of our selected libraries. ‘HD space’ refers to their total size in gigabytes (including all volumes) when installed on your hard drive, while ‘Mics’ shows the number of different microphone positions used, excluding any mixes. Numbers for solo instruments and ensembles are for brass only and take no account of other instrument families featured in mixed-instrument libraries — these figures refer to distinct instrument and section types, not numbers of patches. It’s worth noting that data size isn’t necessarily an indication of a library’s musical capabilities. Recording a performance from, say, three microphone positions will triple the data size, but it won’t give you any extra performance styles! * Includes a separate muted version. + Also contains strings, woodwind and percussion phrases. -.- Also contains tutti phrases. You can read the SOS reviews (where available) of our selected brass libraries online via the links below. Reviews of products which have undergone radical makeovers since their first incarnation (such as EWQLSO and the earlier VSL releases) contain links back to their initial reviews. Standard libraries: Brass I €295 $295, Brass II €295 $295, Special Brass €265 $265, Trumpet (Bb) €115 $115, Trumpet (Bb, muted) €115 $115, Flugelhorn €115 $115, Vienna Dimension Brass I €545 $545, Vienna Dimension Brass II €595 $595, Saxophones €265 $265. Full libraries: Brass I €670$670, Brass II €690 $690, Special Brass €490 $490, Saxophones €490 $490; the others have no full library version. Special Edition Vol. 1 Brass €70 $56, SE Vol. 1 Brass Plus €105 $84, SE Vol. 2 Brass €95 $76, SE Vol. 2 Brass Plus €100 $80, SE Vol. 4 €255 $255. Composer Cloud: Gold version of all EastWest libraries €26.99 $29.99 per month. 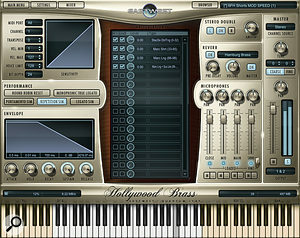 EWQL Hollywood Brass: Diamond Edition €449 $499, Gold Edition €269 $299, Silver Edition €179 $199. EWQLSO Play Edition Platinum Plus €629 $699, Platinum €539 $599, Gold €359 $399, Silver €179 $199. Trumpet Corps Vol. 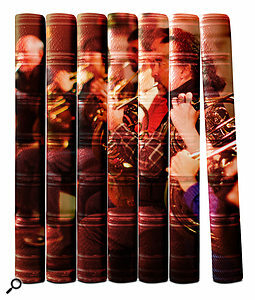 1 £298.80 £249, Horn Section Vol. 1 £202.80 £169, Bones Vol. 1 £334.80 £279, Trumpet Phalanx £178.80 £149, Horn Phalanx £178.80 £149, Bone Phalanx £178.80 £149, Low Brass £294.00 £245. CineBrass Core $399; CineBrass Pro $399. Symphony Series Brass Collection $499, (Ensemble) $399, (Solo) $299. Kirk Hunter Concert Brass II $249, Diamond $299. Bravura Scoring Brass Complete $349, (Ensembles) $229, (Soloists) $149. Berlin Brass SFX French Horns $249. Strezov Orchestra French Horns $80, Strezov Orchestra Trombones $66, Rogue $15, Aleatoric Modular Series Trumpets / French Horns / Low Brass $110 each. Symphobia £488.02 $699, Symphobia 2 £488.02 $699, Orchestral Essentials £256 $349, Orchestral Essentials 2 £256 $349, Orchestral Brass Classic £171 $229. Da Capo €241.88 €199.90, Minimal €241.88 €199.90, Grosso €362.88 €299.90, Capriccio €362.88 €299.90, Vivace €241.88 €199.90. 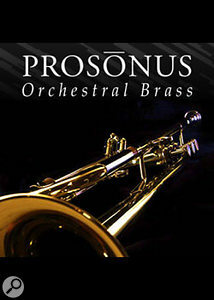 Prosonus Orchestral Brass £32.95 $49.95. Peter Siedlaczek Complete Orchestral Collection €189. Garritan Personal Orchestra 4 $149.95. MOTU Symphonic Instrument £249 $295.95. 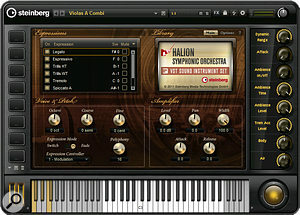 Halion Symphonic Orchestra £73 $99.99. The Trumpet 3 £139.20 €159, The Trombone 3 £139.20 €159, French Horn & Tuba £130.80 €149. WIVI Band $129, Orchestral & Band Brass $399. 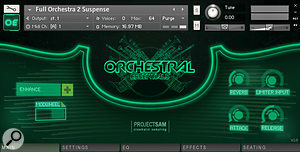 Synful Orchestra 2.5 £414.20 $484 (UK price fluctuates with exchange rate).